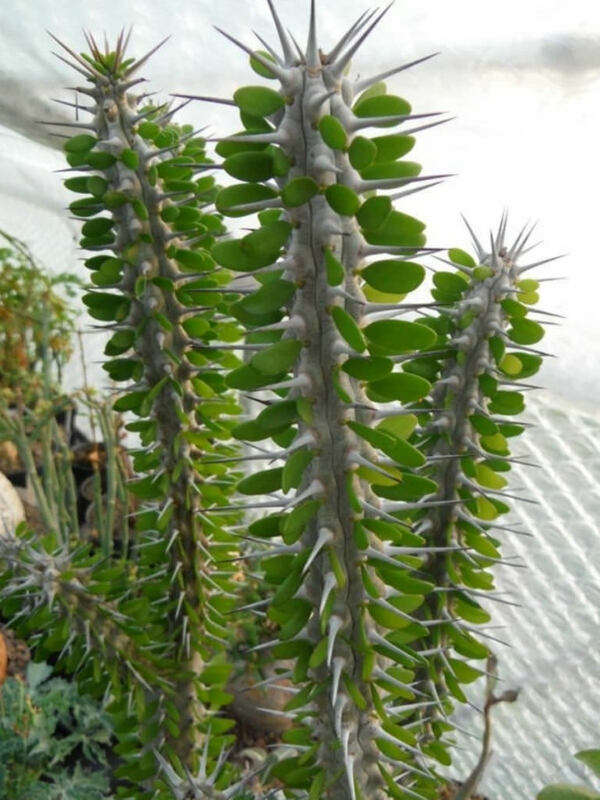 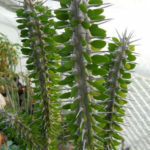 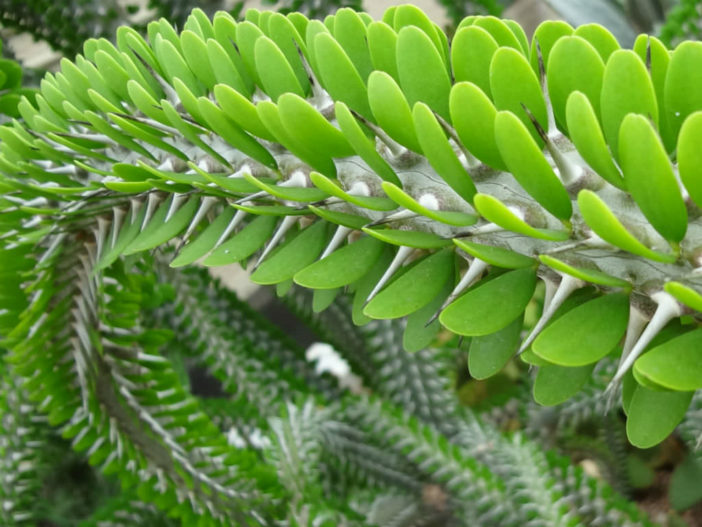 Alluaudia procera is a spiny and scarcely branched or occasionally columnar, small succulent tree up to 50 feet (15 m) tall, with paired, up to 2 inches (5 cm) long, oval or rounded, succulent leaves (often leafless in high heat) and grey spines up to 0.4 inch (1 cm) long, that sprout up along the mostly unbranched upright, stout stems. 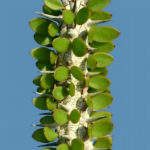 The stem is gray-green to bone white in color and up to 6 inches (15 cm) in diameter at the base. 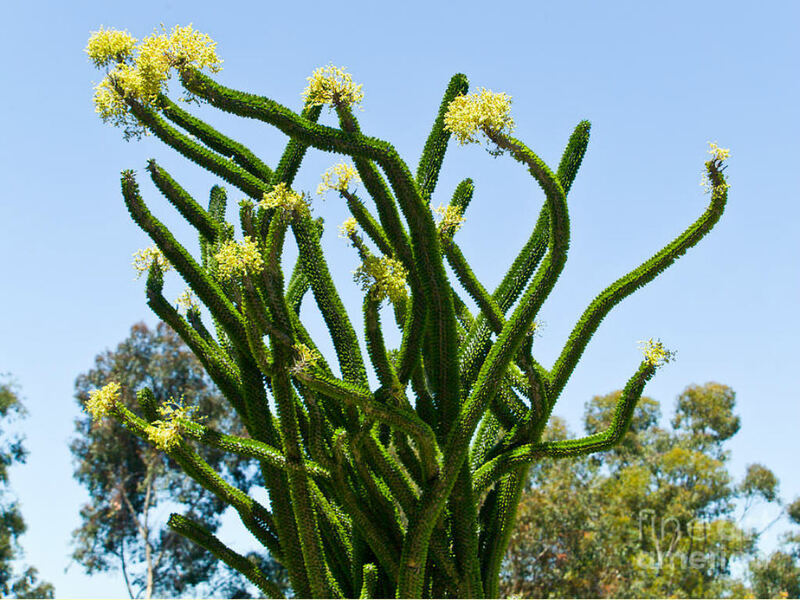 The flowers are yellowish or whitish-green in crowded clusters at the end of the branches. 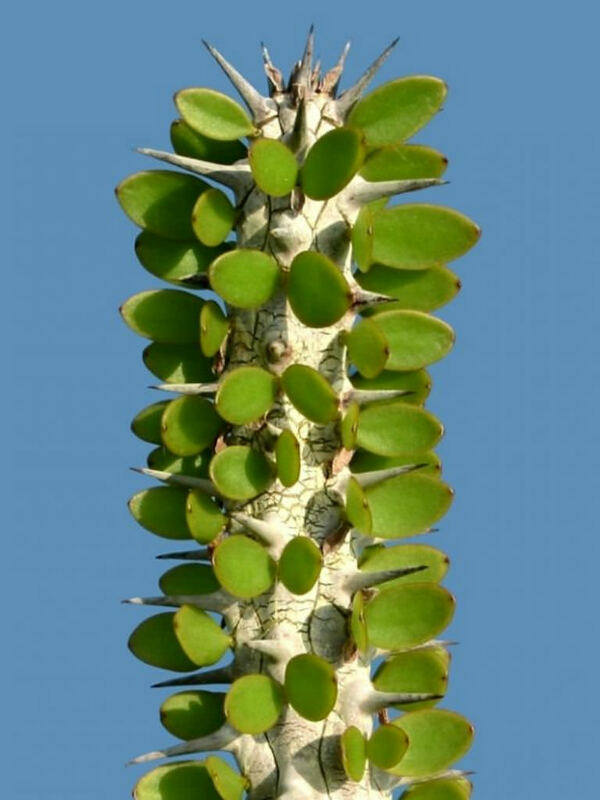 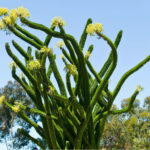 Native to the southern and southwestern Madagascar.